How to brand yourself in direct sales is a question many ask when starting on a direct sales journey. I’m here to tell you it does not have to be something that makes you feel stuck! When starting a new direct sales business, it helps to start on the right foot and branding plays an important role. So what exactly IS branding? Think of your favorite food companies. In the case of direct sales, you will want to brand yourself and not your direct sales company. Why? Here are 5 reasons why you should brand yourself. 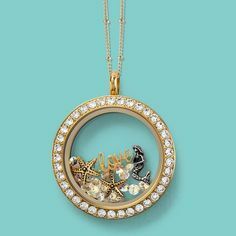 Creating a unique and personal brand for yourself will set yourself apart from the sea of other consultants in your company. I completely understand direct sales companies that have policies and procedures that limit how unique your brand can be. Know the guidelines and add your own special flair! Work with complementary colors and fonts and don’t be afraid to mix things up! Be different, set yourself apart, and you will get noticed! If you change directions (or direct sales companies) in the future, your brand will follow you. Take that into consideration when you begin the branding process. If you sell lipstick right now and have a name that incorporates the words lips or kiss, it may be harder to expand or switch your direction down the line. Think about your ideal customer and how you want to be known. Use that as inspiration for the beginnings of your brand. When you start to think about your own personal brand, think about the future graphics you will make or additional special touches to include in your packages to your customers. Potential customers love a cohesive, professional look. When you put in the extra effort to create a gorgeous brand for yourself, your customers will notice and refer you to others. Other consultants will be curious too and you may find your direct sales team growing because of how you have branded yourself. Magical things start happening when you have your brand figured out and your social media channels begin to take on the same appearance and look. You come across as professional, focused, and customers (and other direct sellers) will look to you as an expert. It takes time, in my case, it was almost a year before I figured out my own branding! When starting a direct sales journey, many make it look SO easy! Like anything, we all know it takes hard work, consistency, and perseverance to succeed in direct sales. Think of your own personal development and pride you will feel when you start off your journey with a simple, yet powerful, brand for your yourself. To start creating your own brand and unique identity, try and think of a few objects that you connect with. Maybe you really love using a couple of colors in your graphics. Choose a starting point and run with it. Keep it simple, don’t overthink it, and remember, your brand can evolve and change as you see fit. There is no rule against switching it up once in awhile! 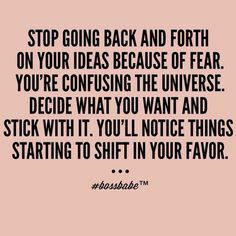 If you are really feeling stuck and not sure how to move forward? Consider the Sassy Suite Branding Coaching Call. This on-demand video coaching call on Branding is 1-hour full of how to figure out your “brand” and who you are marketing your products and services to. You also leave with an exercise on how to create your own original graphics series that fits with your brand. If you have got your branding down pat and are wondering what to do next, I highly suggest creating your Facebook Business Page for your direct sales company. Piece by piece you are laying a strong foundation for a successful direct sales business! Click For Personal Branding Video Coaching! 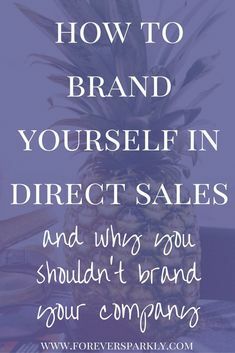 Learn how to brand yourself in direct sales! Click to purchase Sassy Suite's Personal Branding Video Coaching. Understand how you want to be known, who your ideal client is and what is your key message. You also leave with an exercise on creating your own original content graphics series! Click for Personal Branding Training!